In addition to using radio-frequency identification (RFID) tags to automate the borrowing and returning of books in a smart library system, many smart libraries in the U.S. and around the world have installed an additional smart feature — video security systems and cameras for video surveillance. Today’s sophisticated and advanced high-resolution cameras can easily record the viewing and reading habits of visitors. Here’s why security cameras are a key component of any smart library system. Why Does a Smart Library System Need Video Surveillance? Many libraries initially installed cameras after repeated staff requests related to vandalism, theft, and criminal activity, both inside and outside the library. Today, several libraries, especially those with smart library systems, have cameras installed throughout the facility. These cameras are being used as security and safety tools for reducing crime, increasing employee and patron safety, and guarding library property. Even more high tech, are today’s libraries with 24×7 lobbies where you can check out the latest novels and movies from vending machine-like kiosks. Libraries with these perks may use cameras to track traffic count to help them determine if it makes good business sense to offer, or even expand, these services. Comprehensive video surveillance systems allow the staff and management to get an overview of what’s happening all over the library, and provide data for critical business decisions. Therefore, as with other public areas, cameras should be integrated into every smart library system. Where Should Security Cameras Be Placed? 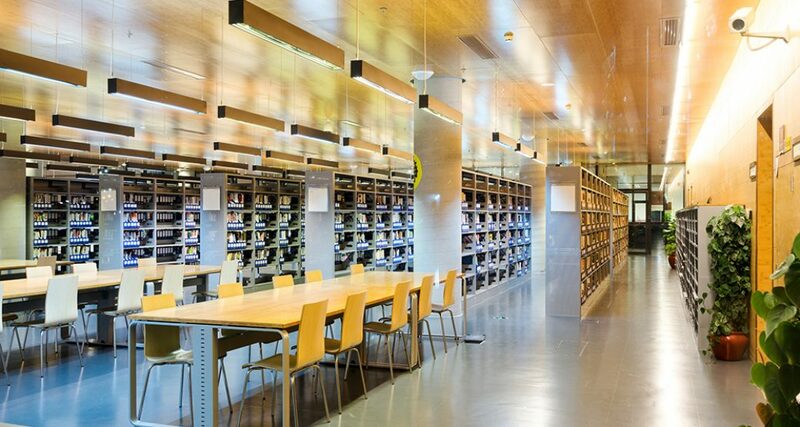 The placement of cameras in a smart library system will depend on the individual requirement of each library. Some libraries focus more on protecting assets, while the others focus more on tracking patron activity. Smart library systems that house limited editions, historic books, or rare documents focus their camera systems on these sections. Nevertheless, a smart library system should install a security camera near each entry and exit point, public seating areas, stack areas, conference rooms, library computers, media and book collections, and other areas surrounding the library such as the primary area of the campus and the parking area. Of course, cameras should not be installed in areas such as break rooms and restrooms to protect the privacy of staff and visitors. What do you consider to be your most critical security problem? Do you have any valuable or rare pieces in your collection? What kind of security system do you already have in your smart library system? Have you faced any security threats in the previous year? Mobotix cameras come in handy in commercial applications as they are flexible and come with several technical benefits. Smart and autonomous IP cameras by Mobotix are trending big time and provide high-quality video surveillance. HD image as opposed to TV-quality image. 360-degree all-around view or 180-degree widescreen technology. No storage limit for the camera system. Dual cameras with two sensors and automatic switching between day and night modes. Digital white balance to obtain a sharp picture and true color at different scales.